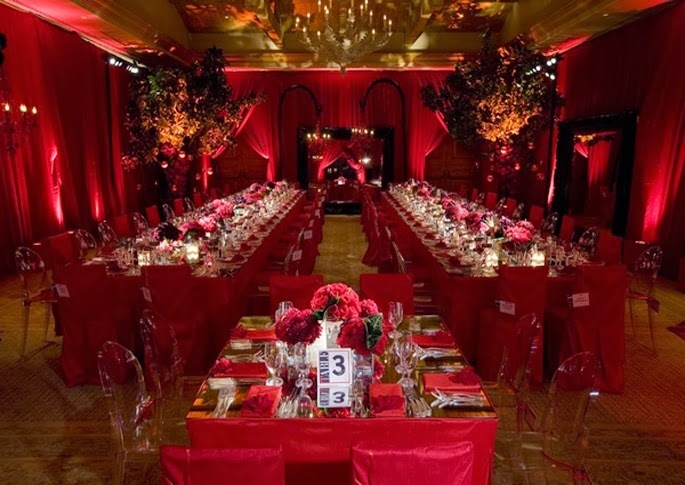 Lighting is such an integral part of an event, it can turn an otherwise blank space into show stopper. 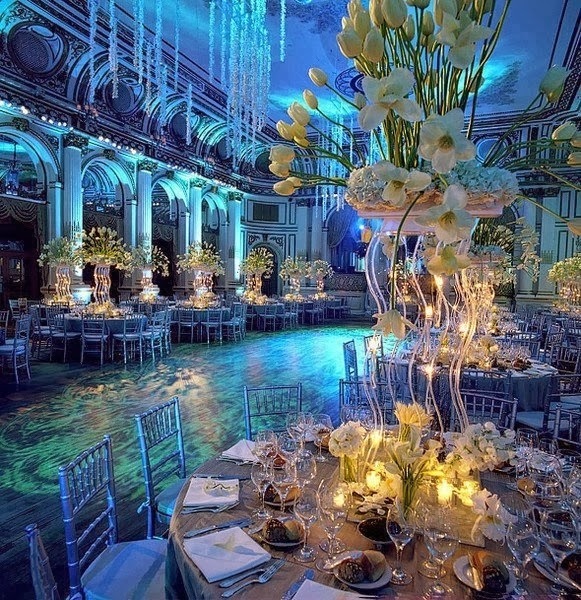 Lighting helps create and ambiance, weather you want a romantic and classic mood or a party scene. 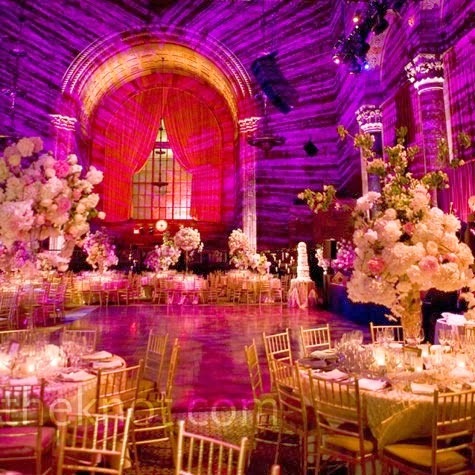 We always suggest to our clients to do lighting for any indoor event. This starts with your ceremony. 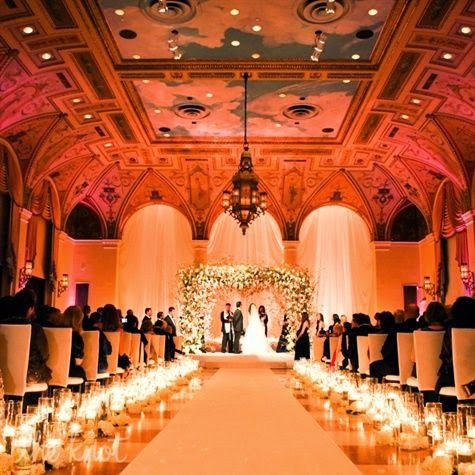 We like to keep in clean and crisp during the ceremony, we suggest going with a nice amber lighting which will give the room a candlelight glow. 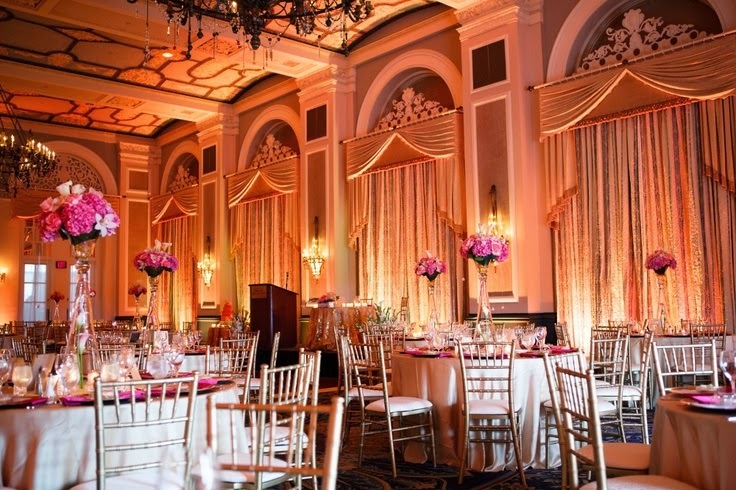 When moving into the reception we suggest starting with a subtle color. Consider keeping the amber lighting or moving to a light pink or aqua. As soon as the DJ kick starts the music this is the time to get dramatic with your lighting. 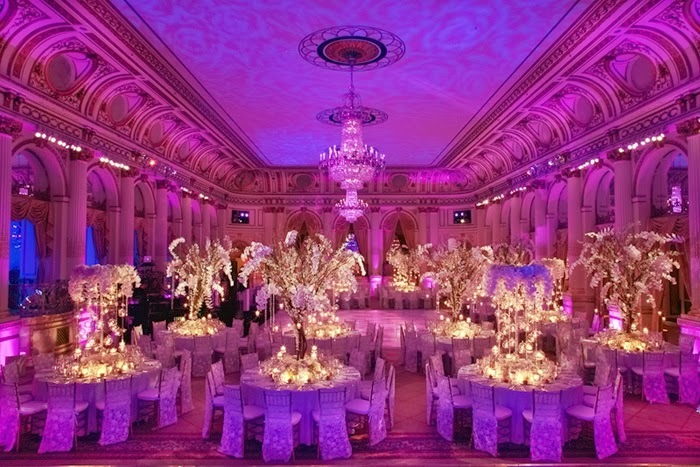 Go for bold colors such as red, blue or purple. 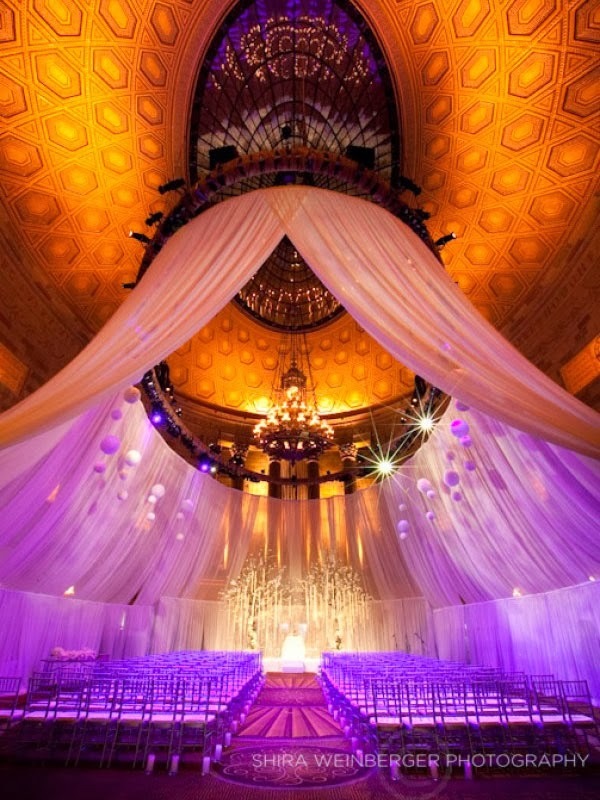 Even better do choose colors that complement each other such as red and orange, pink and purple or blue and amber. 1. 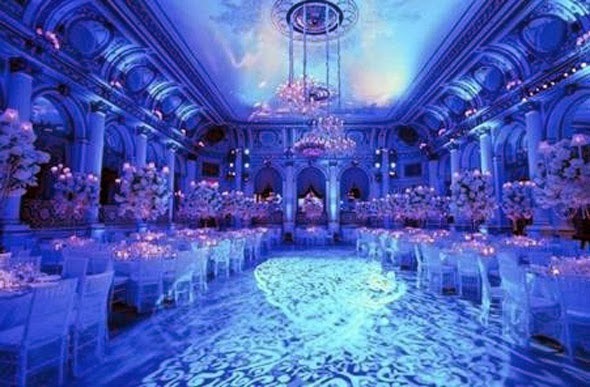 Don't do to many color combinations as this will make it look like a children's birthday. 2. Changing the colors to much during dancing can be a little distracting and even hard on the eyes. 3. The simpler the better, going too crazy with lighting can be overwhelming. 4. 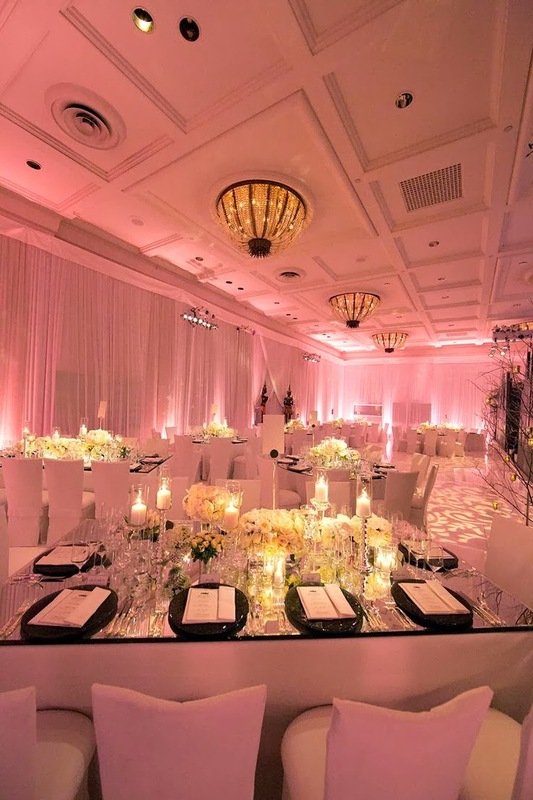 Lasers and moving heads can be fun, but can make it look more like a club than a reception.